We have built a successful business over the past 19 years through dedication to building long-term relationships with our clients and team collaborators. 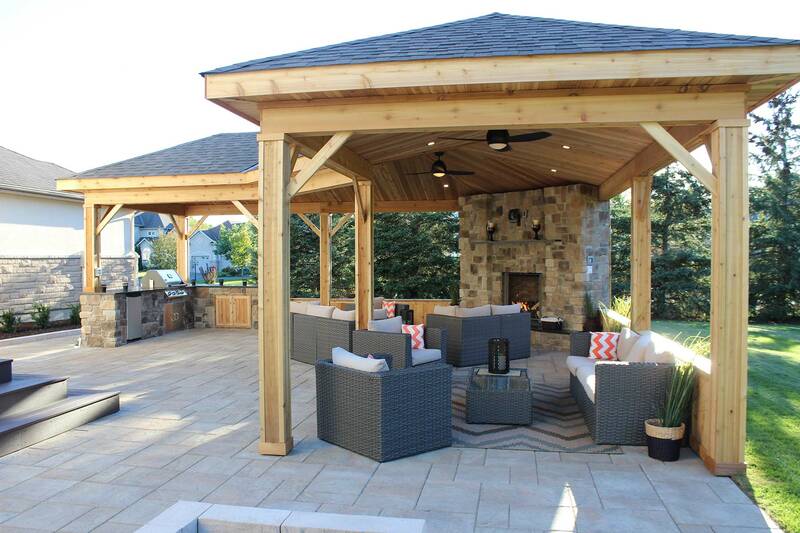 Our team is dedicated to doing everything the way it should be done, combining decades of practical experience with creative landscape designs to produce high quality construction and client satisfaction. The expectation that clients have for a good experience when planning to landscape their property is fulfilled by investing in a creative and practical landscape design. Justifying the expense for a professional landscape design is a challenge for some, but a great and rewarding investment for many others. 2018: One of the single best decisions we have made as homeowners was partnering with the Mallette family to design and construct our backyard sanctuary. 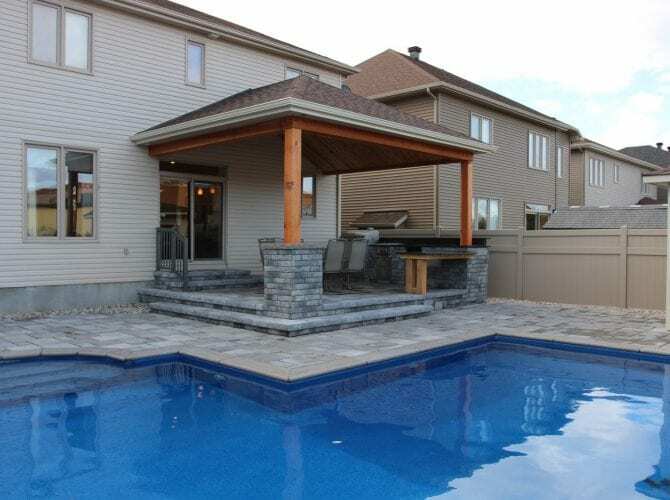 They have a reputation throughout Ottawa as consummate professionals who deliver projects built of the highest standard. They managed to surpass our already lofty expectations. 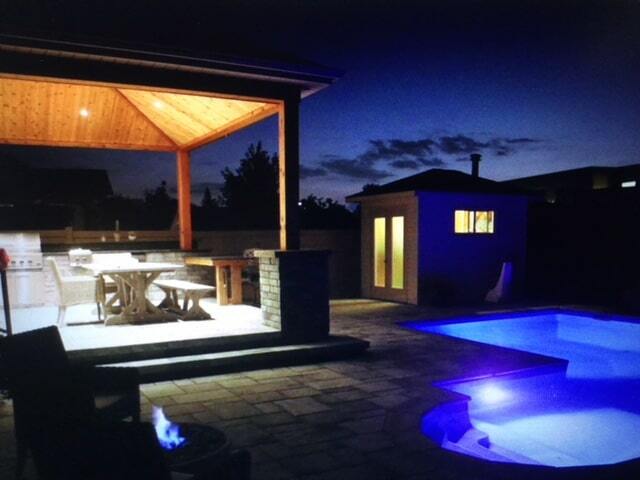 Our plan was extensive and included a custom pool, patio, retreat and landscaping (including Candace Mallette). Several things stood out beyond other construction/home renovation experiences we have had. 1) Ease of communication – Jim and his team were easily accessible by all forms – including phone, text and e-mail. Because communication was so good, the plans we tailored together rarely went awry. 2) Attention to detail – every component of the process, from the excavation to the custom stonework, was carried out with precision and care. 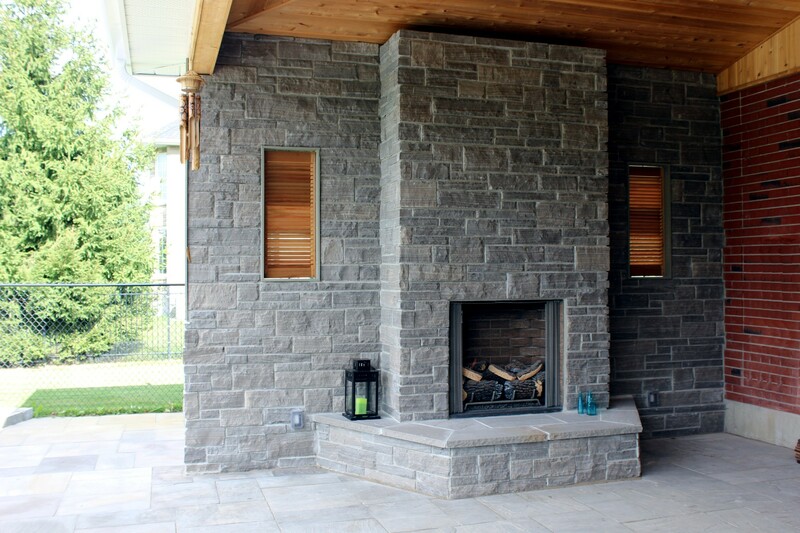 It felt like Jim and his team were mortaring a fireplace for one of their family members. 3) Punctuality – Jim and his team showed up at 7 AM every morning. Every day. Without fail. Even if it was pouring rain, they set up a tent and prepped some part of their upcoming job. 4) Integration – they truly are turnkey. 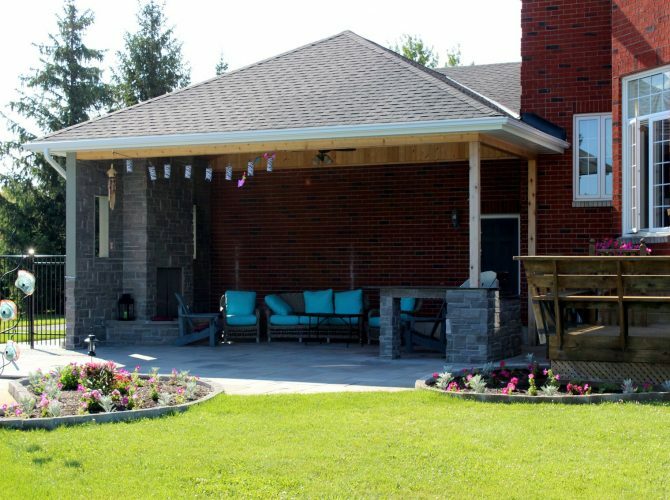 We had the privilege of working with Carol-Anne during the design phase, who transformed our inspirations (and hers) into the backyard we know today. Later in the project, Candace was instrumental in designing and planting the beds. We now have a hardy, low maintenance garden that can survive dogs, kids and wanton neglect. 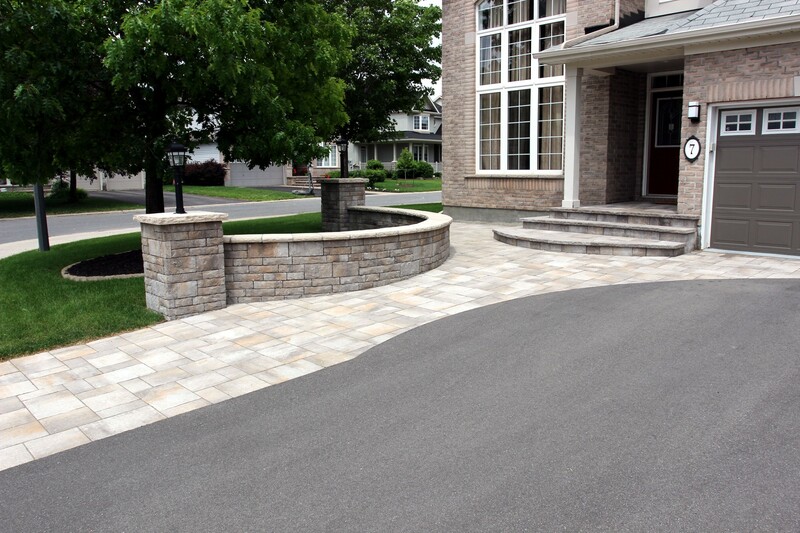 In summary, Mallette Landscaping was tireless, cheerful and professional. We would recommend them without reservation for any project you may be considering, large or small. Like any company that delivers a seamless product and experience they are in high demand, but well worth the wait. 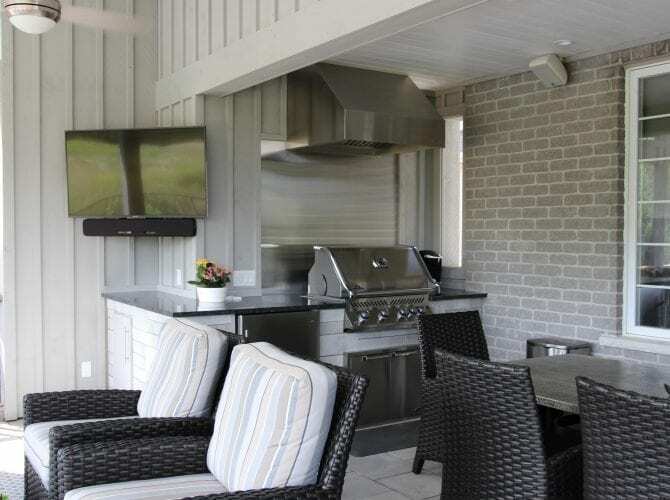 2018: We employed Mallette Landscaping and Design to construct a 3 season room and upper deck. From the design phase to completion went as forecast. All crews( design, landscape, carpentry ,electrical, and masonry) were creative and talented professionals. We were never left with messes at the end of any work day. It was a pleasure to have them on this project. We thoroughly enjoy our new addition and highly recommend the Mallette team. 2018: Mallette was great to work with from design to completion. They were very personable and accommodating. The crew was very respectful and kept us up to date with the schedule and next steps. A great family company and would highly recommend. 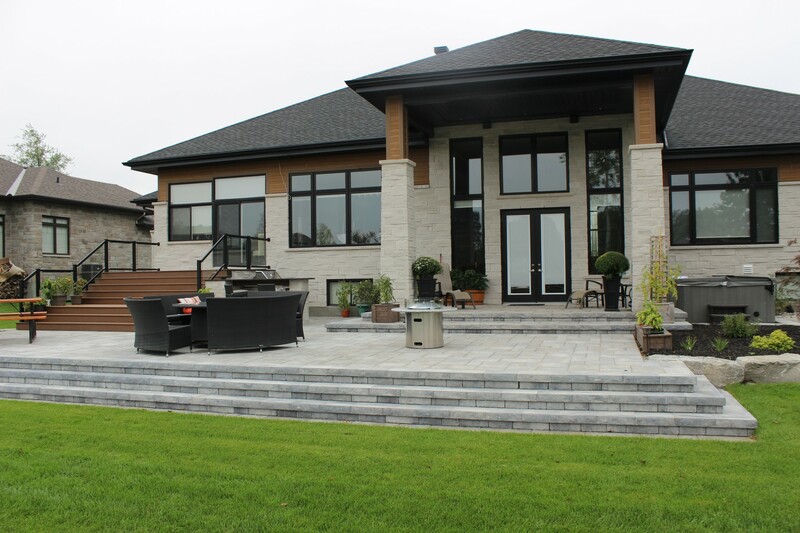 2018: During the summer of 2017, Mallette Landscaping designed and installed a front interlock walkway, steps, pillar lights and gardens with a retaining wall for us. 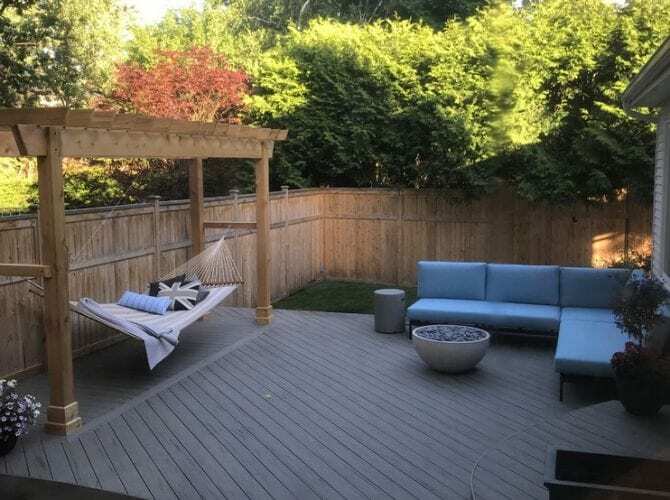 We were very happy with their work and the following summer they designed and installed a pool with a patio, fence and surrounding gardens for us. 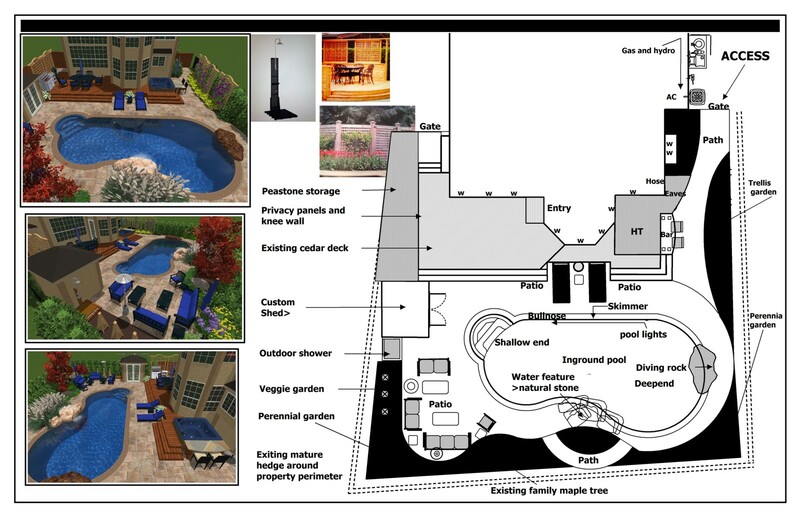 The process with Mallette began with a beautiful 3D design, which allowed us to envision how our landscaping would look. All of the Mallette employees who worked on our project were very friendly and respectful and we could see that they took pride in their work. 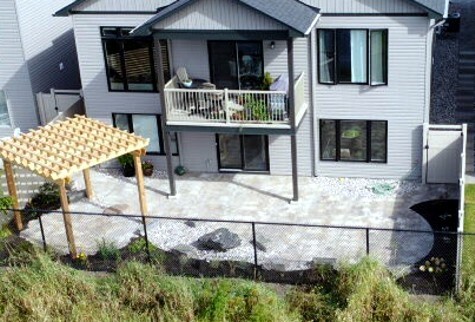 The quality of their work and attention to detail is excellent – retaining walls and pillars are built with concrete foundations and drainage piping was installed to move water away from the landscaping and house. We’re confident that the work will maintain its beautiful appearance for many years to come. Mallette took care of all the work from start to finish, coordinating with all the sub-contractors. Our pool area looks like the beautiful oasis we were shown in the design, along with a waterfall, beautifully coloured armour stone surrounding wall, and a decorative fence. We are very happy with Mallette’s work and highly recommend them for your landscape projects. 2018: We engaged Mallette Landscaping to create a design for our back yard with a swimming pool. Carole Anne did a wonderful job capturing our vision in a design, and Mike and his crew did a great job constructing the plan. We would highly recommend Mallette Landscaping. 2017: We are very happy with Mallette Landscaping and Pools. Excellent quality and professionalism. We would recommend them to anyone. 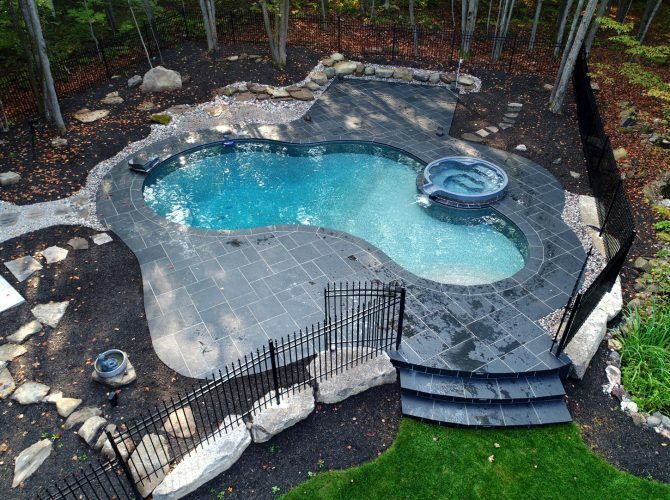 2017: We chose to have Mallette Landscaping to plan and install our pool after every friend and neighbour recommended them as the best. We were not disappointed. They designed a beautiful pool that is stunning to see. Their workers were courteous and dependable, and never left a mess. Mike and his team worked relentlessly, rain or shine, and made the construction process as painless as possible. 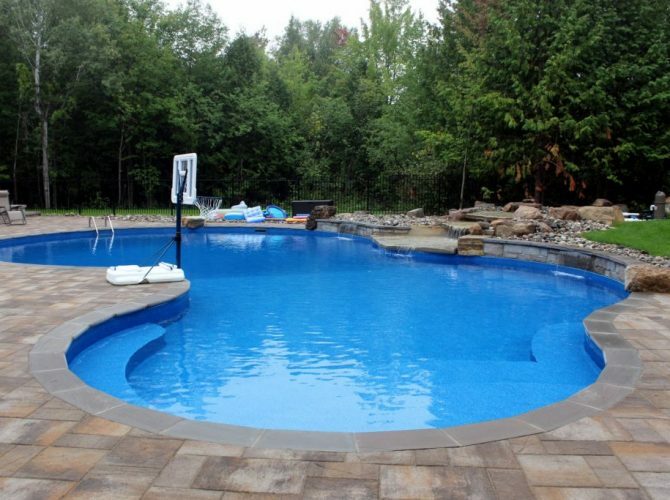 You cannot do better than Mallette for a pool. We recommend them very highly. 2017: "My husband and I could not be happier with our new pool and landscaping completed through Mallette Landscaping in June 2017. From the initial design to completion of the project it could not have been done any better. Mallette is a full service company with one of the best customer service experience a client could ask for. Even after the pool was competed they were always willing an answer questions and help. 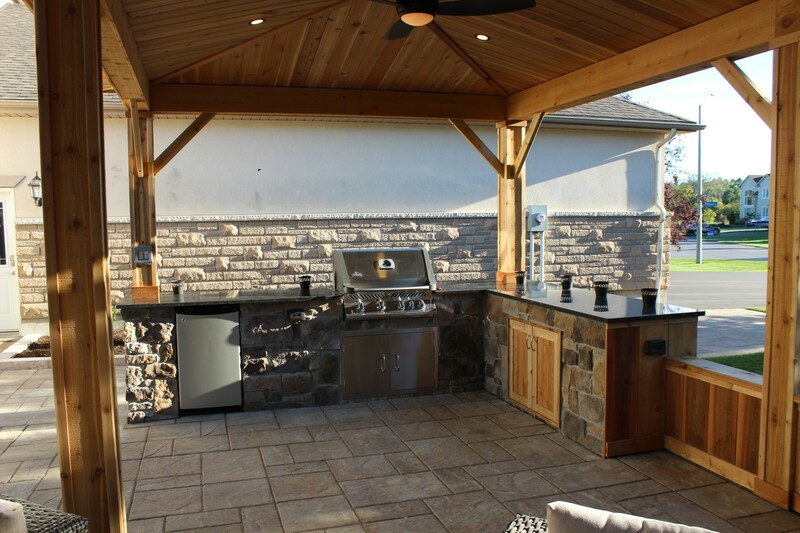 We would recommend Mallette Landscaping for any outdoor projects." 2017: Thank you to Mallette Landscaping and their extended team for our beautiful backyard. The area will be a great place for us to entertain family and friends for years to come. It also provides us with a private space of peace and tranquillity. Thanks to Nolan and his crew. They were polite and respectful each and every day and we very much appreciated that. Great Team! Thank you. 2016: What a genuinely great bunch to work with...from the design stages right through to the finished product! It was wonderful passing them the blue prints of the new home along with our thoughts, wish list and budget and having their very talented designer come back with an AMAZING 3D computerized design. It all fell into place from there. A very honest, talented, conscientious and fun team to work with. We could relax and enjoy watching it all come together knowing it was being done right and with no surprises. Would definitely recommend Mallette Landscaping & Pools. 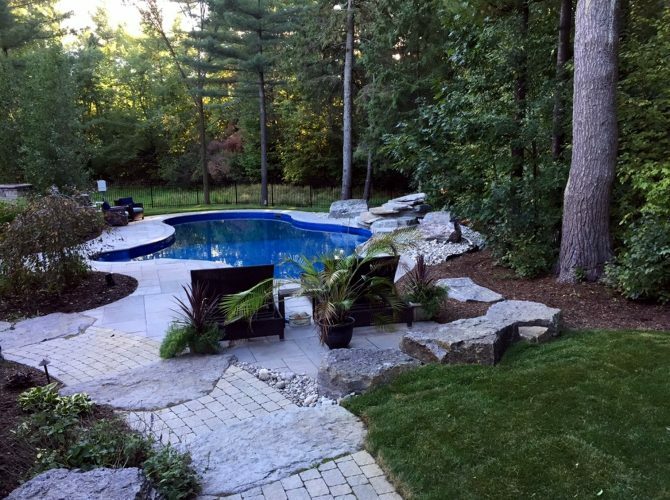 2016: From start to finish, Mallette Landscaping proved themselves to be highly professional, responsive and very creative. Their design service was excellent and provided us with beautiful 3D views of what our project would look like when complete. The project started on time and the individuals doing the work were a pleasure to work with. I would like to sincerely point out the spectacular work, creativity, flexibility and ethic of Mike Mallette who did much of the work on the property. Not to say the other workers were not excellent as well its just that Mike deserves special kudos. The pool is fantastic. The grounds are fantastic. We simply could not be more pleased with the results. I highly recommend you engage Mallette for any pool and landscaping work you need done. 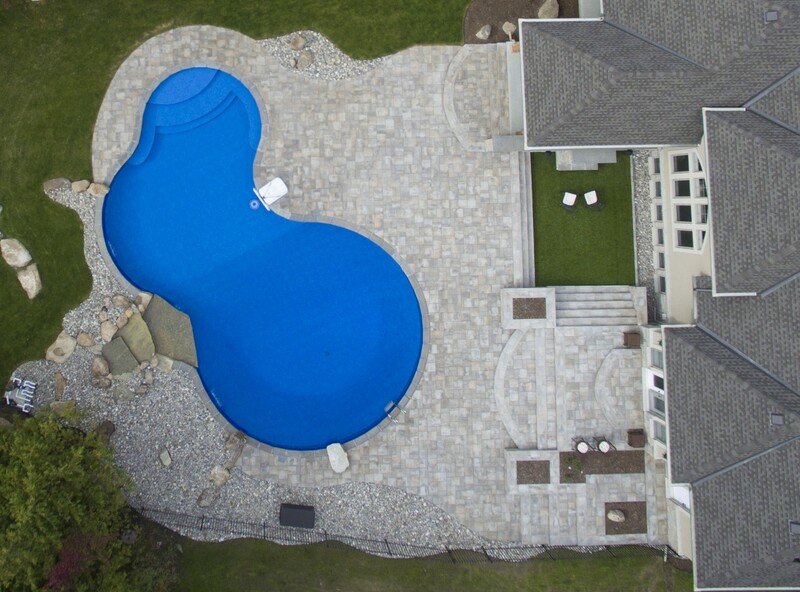 2016: We are tremendously pleased with the work Mallette Landscaping & Pools did for us this year. Every landscaping company should look to them as a prime example of how to operate in this business. They truly pride themselves on customer satisfaction, accomplishing solid work in a timely fashion, and being fully transparent and accountable during the entire process.The design process was seamless and truly enjoyable. Carole Anne's creative talents and ability to understand the customer's needs were key in translating our vision into a 3D design that all could easily understand. It was wonderful to work with her! The project was led by Mike Mallette who was involved from the very beginning and attended every step of the design process. He was very insightful and helped ground the design into something achievable for our budget. He exhibited exemplary leadership and organizational skills during the building phase - he was on site daily, responsive to our questions/concerns and made sure we were happy with every aspect of the final product. 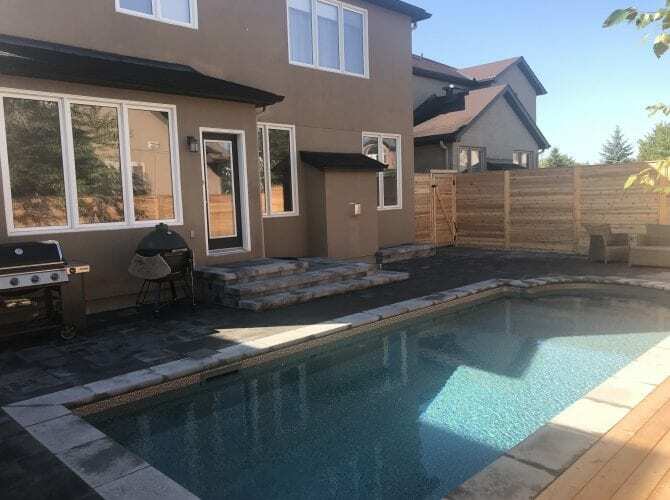 The project consisted of building a large pool, patio system and fire pit and involved a huge amount of concrete and stone work, grade elevation, fencing (glass and aluminium), tree clearing/relocation, irrigation, garden creation/planting etc. From day one, all workers showed up promptly in the early morning hours and worked intensely until the end of the day. The entire project was well orchestrated with no time wasted The end result is spectacular. We are immensely pleased. Mallette stands by their work. They have a great relationship with their customers because of this. We would not hesitate in hiring them again for any further landscaping needs. We highly recommend them. 2015: I found the company to be highly professional thought all stages of the project (design, planning and implementation). 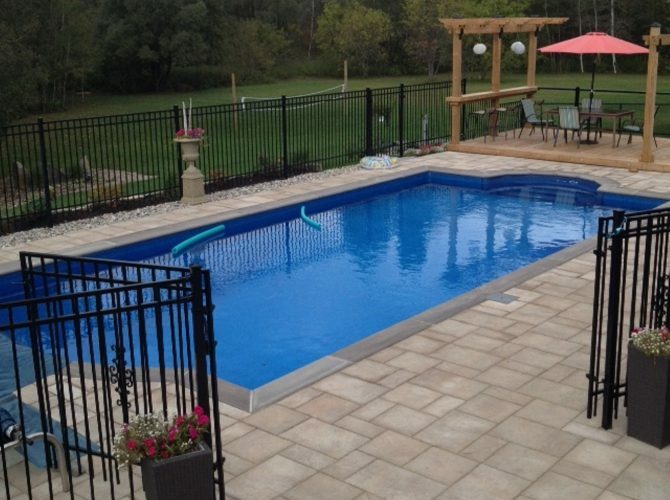 They have built strong relationships with top quality sub-contractors and as a result are able to deliver a constantly high standard of workmanship throughout all aspects of the project (woodwork, roofing, masonry, gas, electric, paving, and pool systems). The initial estimation was thorough and options were accurately costed. This allowed me, as the client, the opportunity to prepare a budget that, in the event, closely matched the final costs. In the same vein the company was willing to stage the work in line with my budget and other requirements. Indeed there is still a final phase planned but which will only start when the current pool liner reaches the end of its useful life.